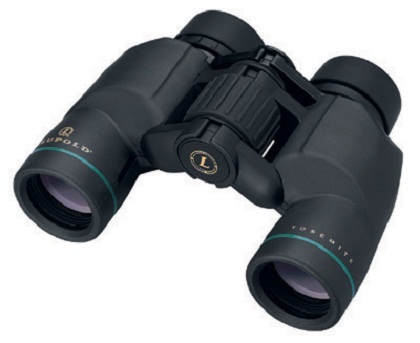 It may be binoculars or telescope, the equipment works with the help of lens based on light refraction theory. In binoculars each portion we see from eye looks like a telescope. These will have two lenses. The lens present on the outside of the binoculars will be bigger (big circumference) and the lens towards the eye will be smaller (small circumference). The rays coming from long distance will get bent and comes in front of the lens and that works as a magnifier and things looks bigger and closer. At the same time if the binoculars are turned around, the things look distant and small. This is same with the camera also, because before taking a photo from the camera what is seen is also a telescope.